You are here: Home / Featured / 2019 Moms’ Choice Award Winner! 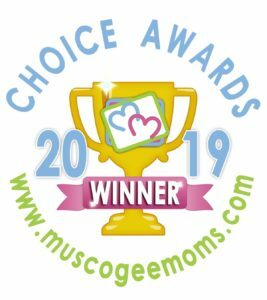 Congratulations are in order for St. Luke School, St. Luke Preschool and St. Luke Early Learning Center for winning the 2019 Muscogee Moms Moms’ Choice Awards in the Favorite Private School, Favorite Preschool, and Favorite Childcare Facility categories! « Time to Vote – Muscogee Moms’ Choice Awards!